This invoice just crossed me desk. 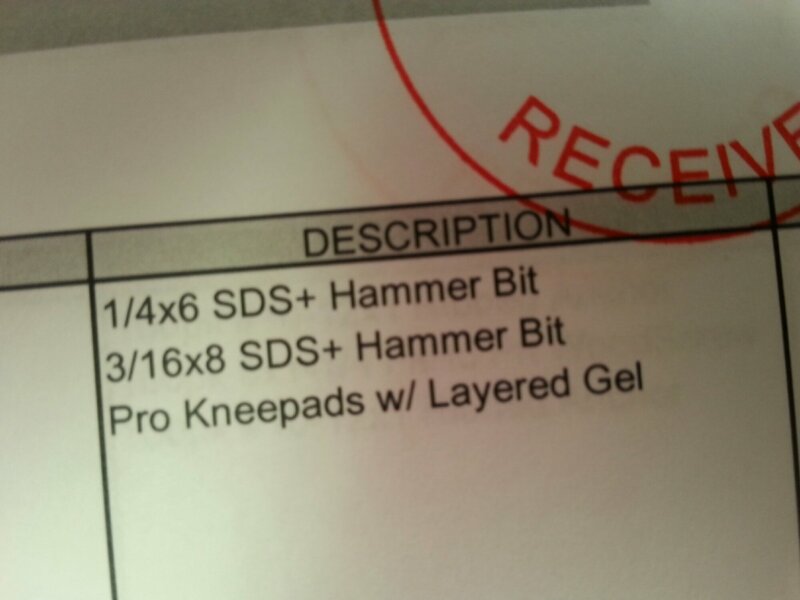 Hammer bits and layered gel “pro” kneepads. WTF is wrong with my mind?? What, pray tell, is the Pure Romance Gift Guide?? Thanks for the tip Ned, but I think that will only benefit me if I have an actual man who would buy the stuff for me. Gotta love Jackyl! How can you beat a band with a freakin’ chainsaw?? I don’t know about the chainsaw, but the fact that almost every single one of their songs is ripe with amazing sexual innuendos makes them ROCK!